KIMS Haunted History. This is a drawing that I have been thing about for a very long time.. KIM has been around for a few years and she has become plus and plus of a character. I thought it was time to get to know her a little bit more! (Short story following soon!). 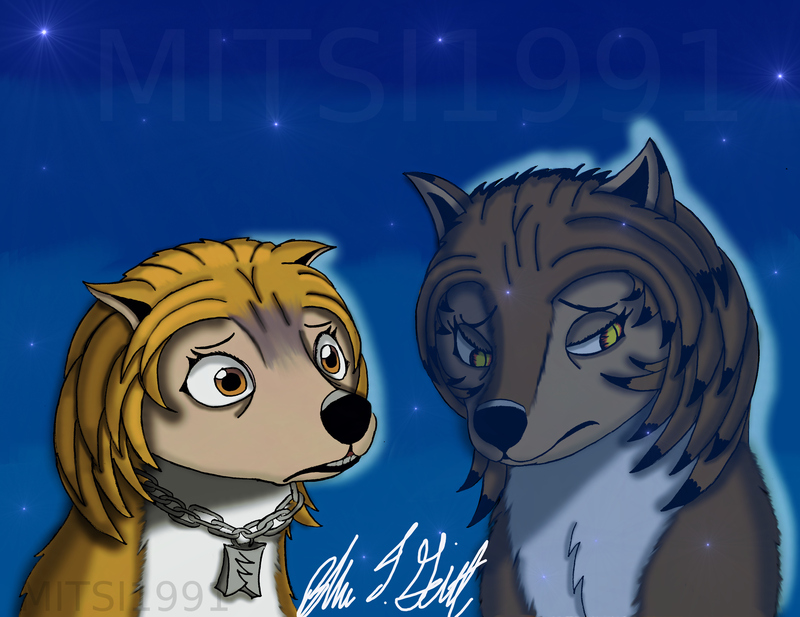 HD Wallpaper and background images in the Alpha et Oméga club tagged: alpha omega kate and humphrey wolves wolf. This Alpha et Oméga fan art contains anime, bande dessinée, manga, and dessin animé. Cant wait for the article Mitsi! WOW!This is hand-drawn?You my friend are a helluvan artist!You bring honor to your emperor,or in this case and century,whatever honor is left in any government...still that is nice,I envy your drawing skill! Ha Kate's face looks so adorable, but anyways, as always, nicely done! Drawn by hand but then I colored it on the computer!! :D LOL Thanx everyone! I know it has been awhile!! :) Thank you! great work buddy is that the name of the article though? Humphrey59 huh!! Im going to have to check out his art! !